This large TV stand exudes warmth and comfort, the perfect aura for cuddling up in your bedroom or living room for a movie night. 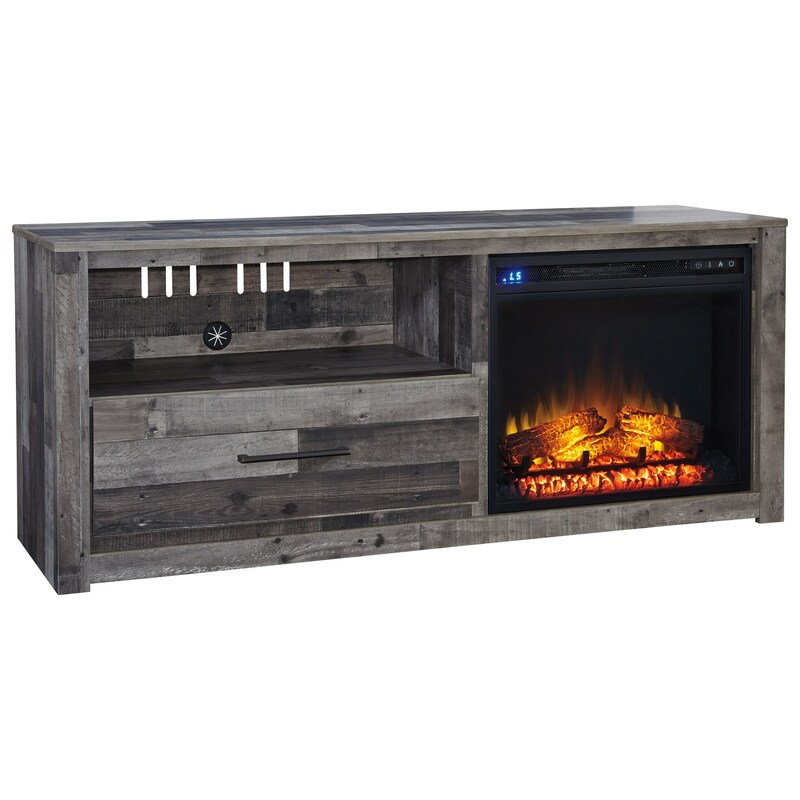 This piece offers plenty of storage space with an open shelf and drawer, and the included electric fireplace offers much-needed heat on those cooler nights, along with a visual appeal thanks to the realistic look of the wood-burning fire. The Derekson Large Contemporary 59" TV Stand with LED Fireplace by Signature Design by Ashley at Royal Furniture in the Memphis, Nashville, Jackson, Birmingham area. Product availability may vary. Contact us for the most current availability on this product.